Introducing the Intel® RealSense™ Tracking Camera T265, a new class of stand‑alone Simultaneous Localization and Mapping device, for use in robotics, drones and more. Combines the robust depth sensing capabilities of the D435 with the addition of an inertial measurement unit. Introducing the limited edition blue Intel® RealSense™ Depth Camera D435. 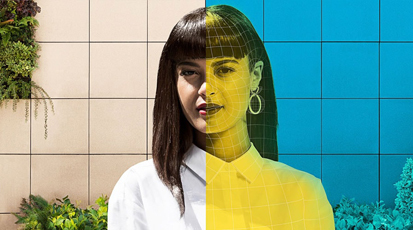 Intel® RealSense™ technologies offer a variety of vision‑based solutions designed to give your products the ability to understand the world in 3D. Uses dual sensors to extract 3D information from a scene. 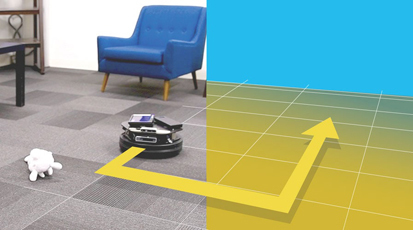 In a similar way to how human vision works, stereo depth is calculated using two sensors and our efficient on‑board vision processor for low power and high performance. Inside-out simultaneous localization and mapping technologies. Using visual feature information and an inertial measurement unit along with our custom tracking algorithms for low power high performance pose streaming. Projects an infrared pattern onto a scene to enable 3D reconstruction. Coded light uses a known pattern projected onto surfaces to understand 3D environments by evaluating discrepancies from the pattern due to deformation. Our open‑source SDK 2.0 offers a variety of wrappers supporting popular programming languages and platforms. Intel® RealSense™ technology is suitable for a number of wide‑ranging applications. Here are just a few examples of uses that benefit from a true understanding of their environment. 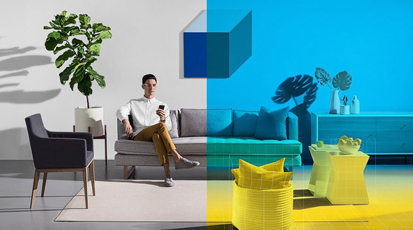 Check out an amazing interactive installation created by Array of Stars – a Toronto based creative production agency – using Intel RealSense depth cameras. They have created a branded experience that manages to be interactive, intuitive and magical.